If a tight budget has turned your credit cards into useless pieces of plastic, don't cut them up and pitch them into a nearby garbage can. They'll be sitting in a landfill for the next thousand years, and that wouldn't be very green of you. 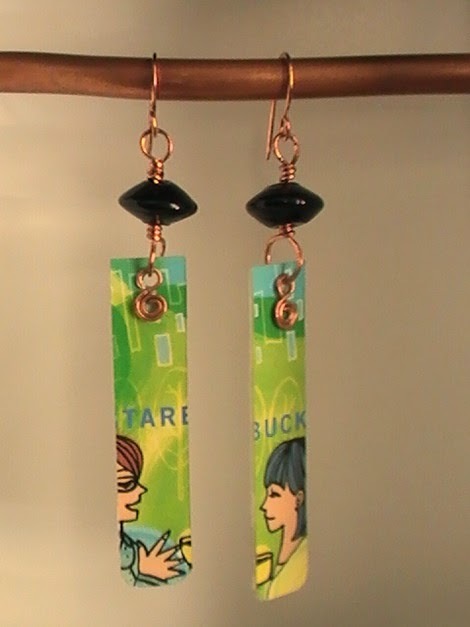 Why not get creative and crafty and turn those credit cards into earrings. It's a cool upcycling solution that will save money come gift-giving time. Gift cards are becoming a plastic problem as well. According to CalRecycle.ca.gov, "The estimated 2.6 billion holiday cards sold each year in the U.S. could fill a football field 10 stories high." You and your gift recipients may only be responsible for a few of those 2.6 billion gift cards, but you don't have to be a part of the problem if you collect the used cards and turn them into jewelry. 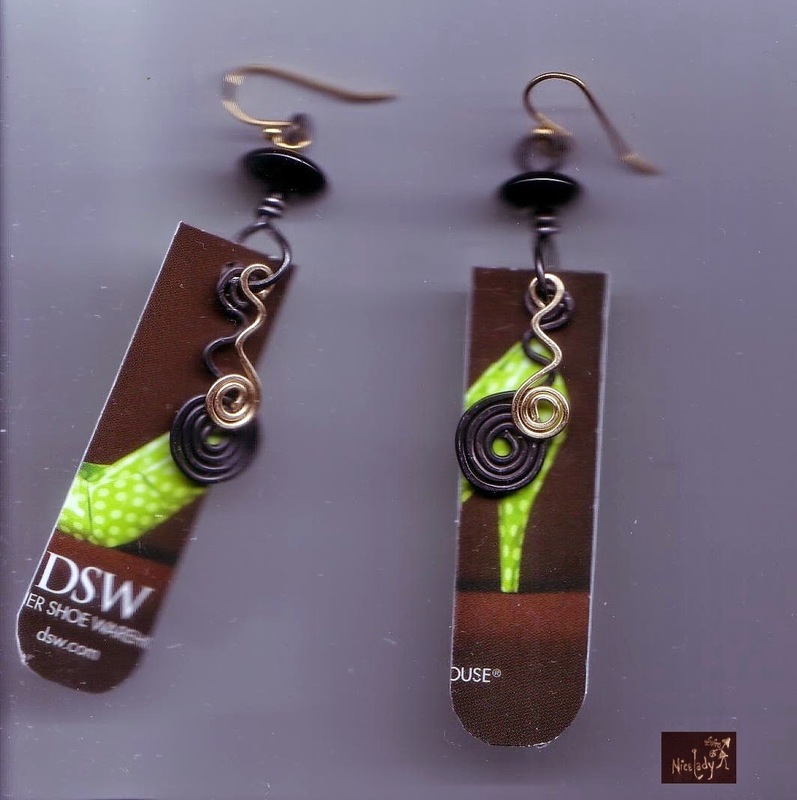 It's easy to get started making upcycled earrings from plastic cards. If you make jewelry already, you probably have the tools you need. If you don't have jewelry making tools, don't rush out and buy them. Borrow a few tools from a jewelry-making friend. Try them out and see if making jewelry is really for you. Buying craft supplies and tools can be fun and exciting, but the thrill fades once you realize you've blown your budget on tools you may never use again. Scissors - If you have a small, inexpensive paper trimmer, use it to help make straight, neat cuts. Hole punch - If you don't have a punch, it's easy to poke a hole into a plastic card with anything round and pointy. If you already make jewelry, you probably have plenty of jump rings, beads and ear wires in your craft stash. If not, visit your local craft store for a few supplies. Don't splurge. Buy only a few of these items to get you started. Use your fine line marker to draw designs on your cards. Straight lines are easy, but if you're feeling adventuresome, draw shapes like hearts, stars or flowers. Use scissors to cut your plastic cards into shapes. A paper trimmer works best when you're cutting straight lines. Use a punch to add holes to your pieces. If yours isn't strong enough or you don't have a punch, use something round and pointy enough to poke a hole, but be careful! Add beads using craft wire or eye pins. Plastic cards are bright and colorful. Use beads that enhance those colors and patterns. Use wire shapes, jump rings or whatever you choose to enhance your earrings. Get creative and quirky and you'll amaze everyone with your upcycled wearable art. Check out these articles for additional ideas for creating and enhancing credit/gift card earrings.